Mr. and Mrs. Smith – Carole & Co. 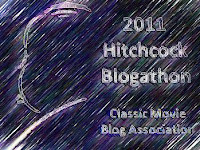 The CMBA Hitchcock Blogathon will take place on Monday, January 17th. Twenty CMBA members are writing about their favorite Hitchcock films and characters during a marathon one-day event. Be sure to check back here on Monday morning for a list of all the films and blogs. Or, you can go directly to your favorite CMBA classic movie blogs and read their Hitchcock reviews!